The Paul & Joe Spring Collection is so full of whimsy and cute. I knew this even before I went to the counter; I've seen the press releases. Yet, there remained much squeeing and dancing little jigs in front of the SA, who thankfully was already familiar with my ways. 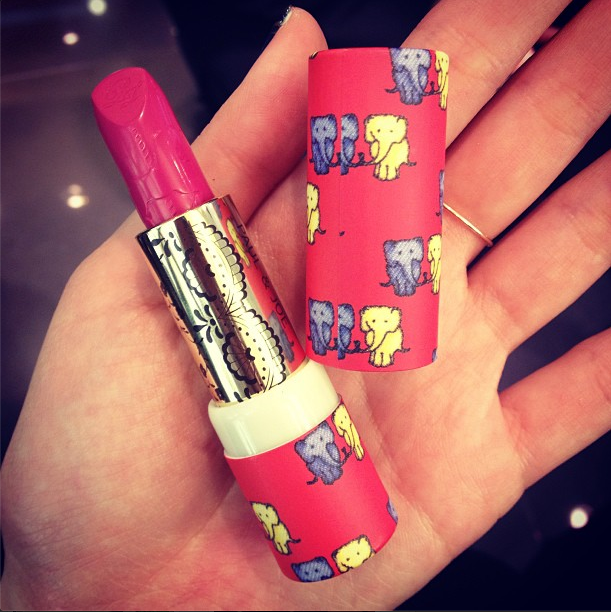 There are elephants on that lipstick, guys, tell me you can resist. I didn't take a picture of the powder because there was a seal over this product and it wasn't a tester so I couldn't mess with it. Think pastel green, pink, cream, and white in a dense lollipop swirl. It makes for an understated highlighter that's definitely much less glittery than what I've come to expect from the brand. This is a good thing. In case you missed it, Paul & Joe announced last fall that they will start selling their lipstick components in two parts, which means you'll have to purchase the bullet and the tube separately. This amounts to a $2 increase in their (complete) lipstick prices, but as compensation, the company doles out mega-cute limited edition lipstick bullets to soothe the pain off that couple extra dollars. I had to. I just had to. Nevermind that the color is fantastic and I don't actually own a fuchsia lipstick (and notice the carousel horse detail printed on it! ), there are elephants on the tube. That is, unabashedly, my real reason for buying it. Paul & Joe Spring is already available online at beautyhabit.com. Alternatively, you could give my friend Alex Runciman who works at the P&J counter a call at 212.872.8648. 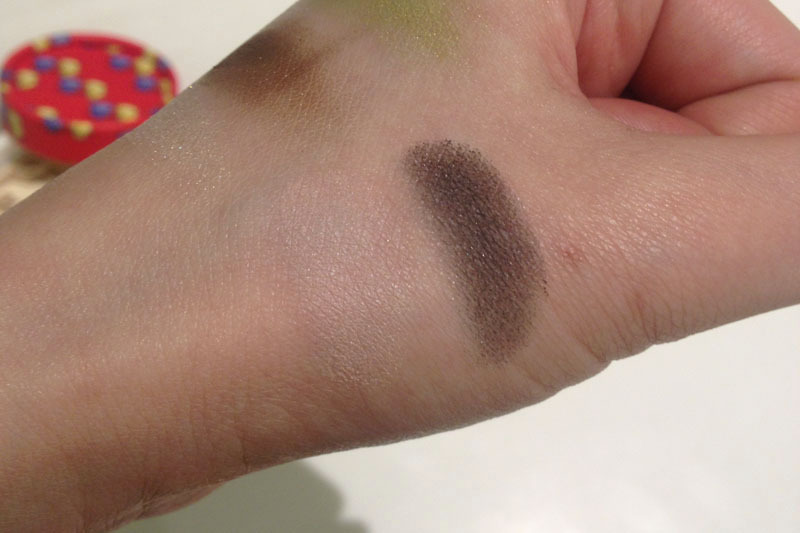 I swatched and purchased the above at Bergdorf Goodman. Beautiful! I love that there are cats, horses, elephants, so much cuteness! I love their lipstick system, ok, it's maybe a bit pricier but you get something super cute and pretty like no other lipstick. Can't wait to see you rocking that fuchsia shade! Paul and Joe have the loveliest packaging! I have wanted the elephant eyeshadow and lipstick for SOOO long. 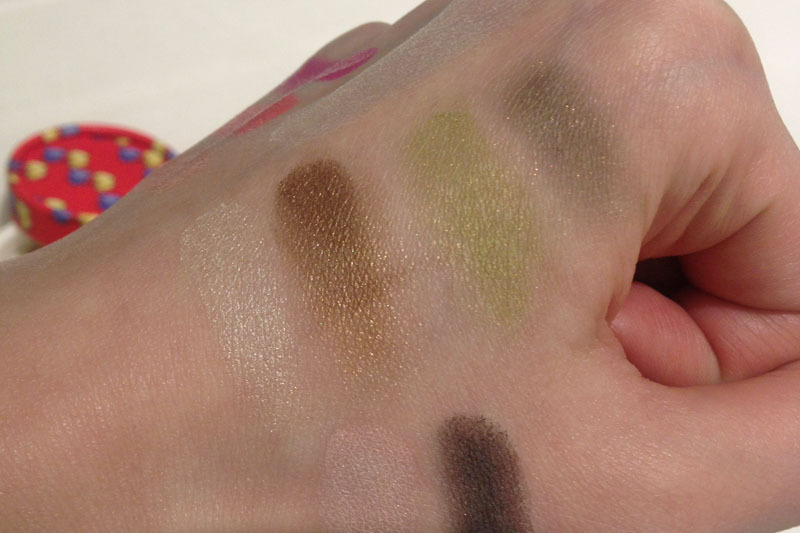 I was waiting for swatches before I took the plunge since I have no P&J near me. Elephants.. I can't even. I collect elephants. I'm sunk. be grateful when you proceed this in future. Many other folks can be benefited out of your writing. 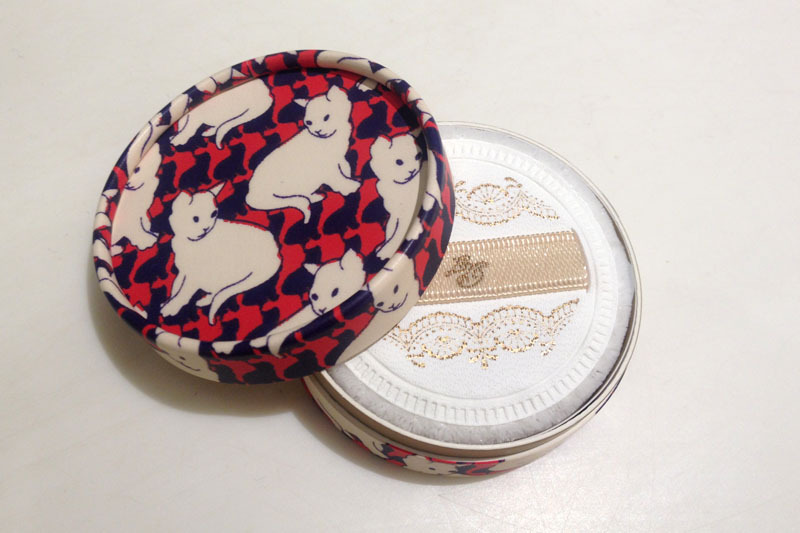 I always love Paul & Joe makeup line, it's so pretty and whimsical at the same time. I really want to try the blush set with the magnetic case. 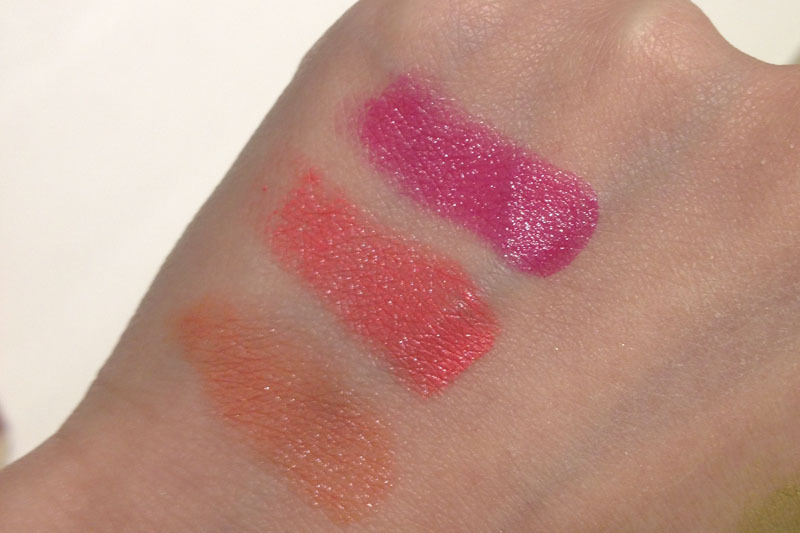 Do you know if Bergdorf Goodman is selling the new blush line yet? 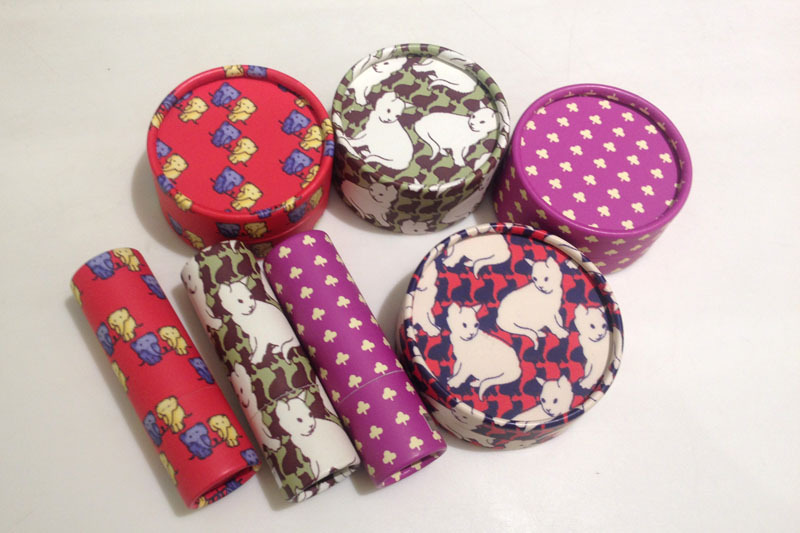 hehe i bought the elephant and club print lip cases! 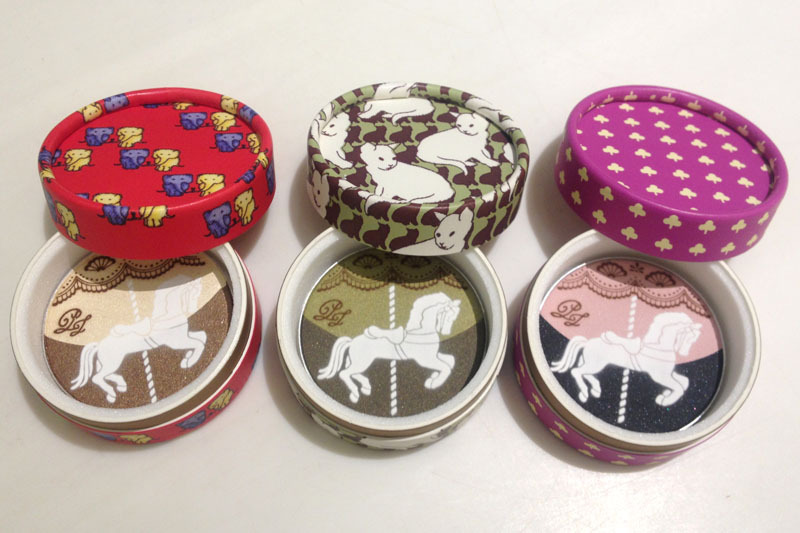 Also bagged the Swirl powder and lipstick refill in Carousel <3 I just love elephants!!! Gah! The elephant packaging is delightful and tempting! This could change my serial-depotting tendencies. equally educative and engaging, and without a doubt, you've hit the nail on the head. The problem is something that too few people are speaking intelligently about. I am very happy I stumbled across this in my hunt for something relating to this. consists of lots of valuable facts, thanks for providing such data. insurance annd campaigns expensive harm.